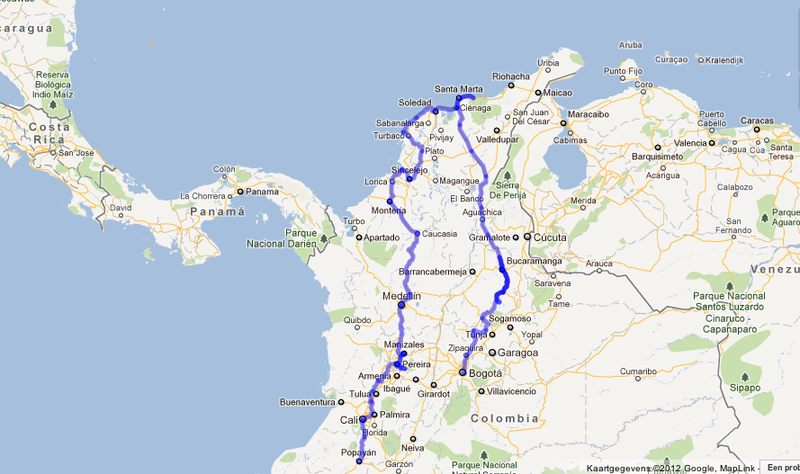 1700 kms, from Havana east to Santiago de Cuba and then a round trip west from Havana. 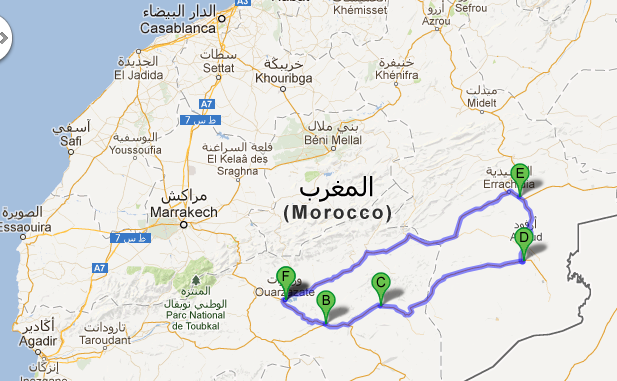 8400 kms in 3 stages. 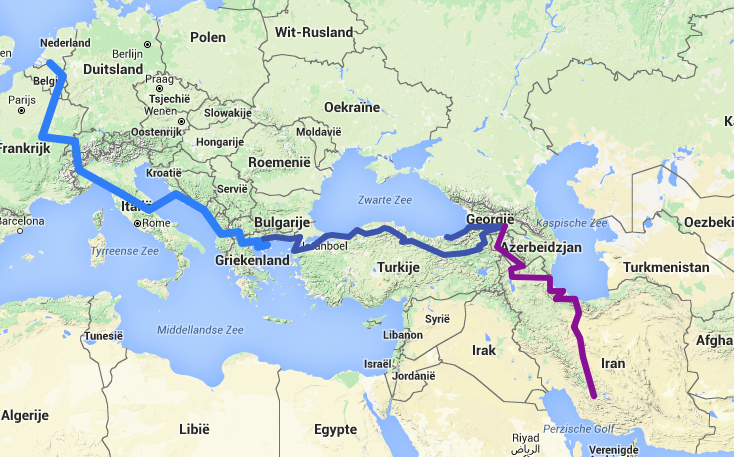 The map below is the combination of the routes we rode in 2011 (light blue, 3600km), 2015 (dark blue, 2800km) and 2016 (purple, 2000km) from home far into Iran. 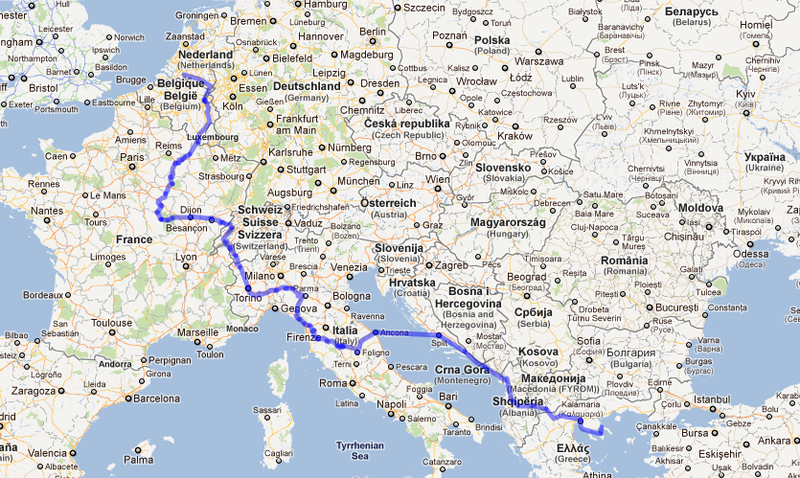 In 2011 our ride was interrupted by a bad accident in Greece. We had started at home and got as far as the village of Ierissos in Halkidiki (Greece). There Eveline was struck by a car and had to be taken to hospital. 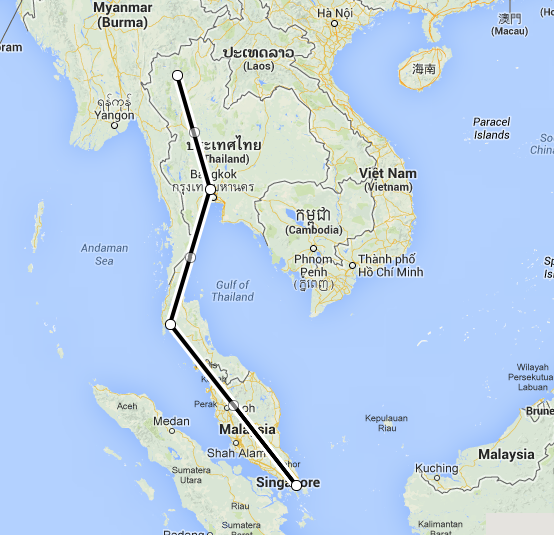 From May – July 2015 we went back to the spot where the accident happened and continued eastward. Via Istanbul we cycled through Turkey into Georgia as far as Tbilisi. Then we flew home from Trabzon in Turkey. In April, May and June 2016 we returned to Tbilisi and continued via Armenia into Iran as far south as Shiraz. 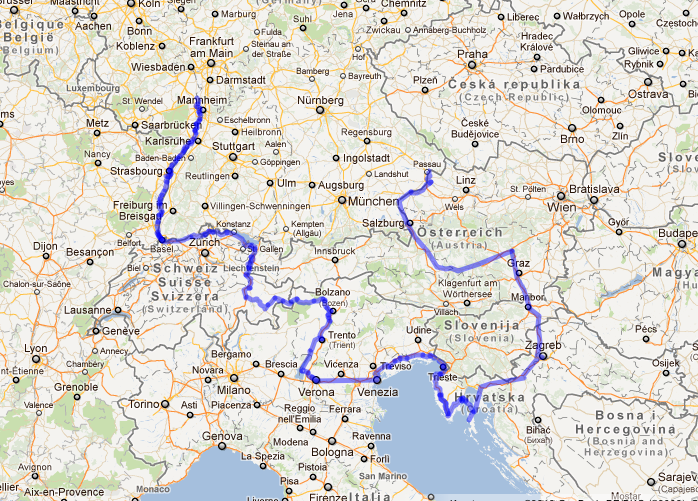 1650 kms, summer 2014 via Euroroute R1. 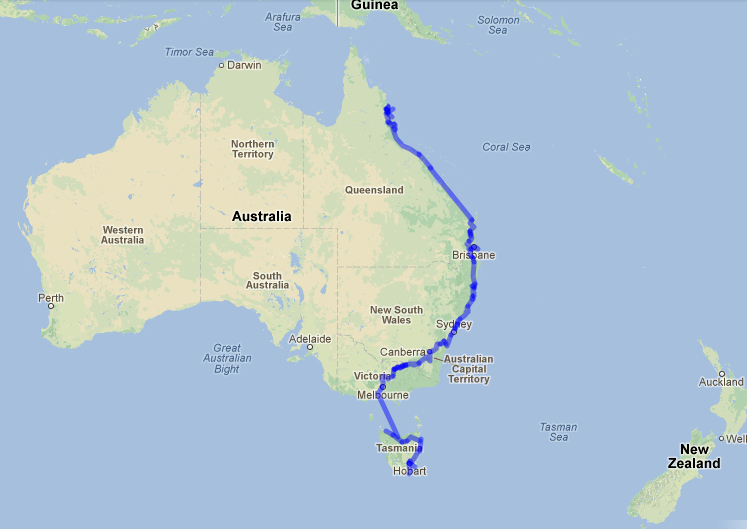 We started riding in Cairns in Queensland on Sept. 29th 2012. On January 30th 2013 we reached Hobart in Tasmania after having cycled 4945 kms. Our most northern point was Cape Tribulation (lat. 16˚,4’S), the most southern point was Port Arthur (lat. 43˚,09’S). 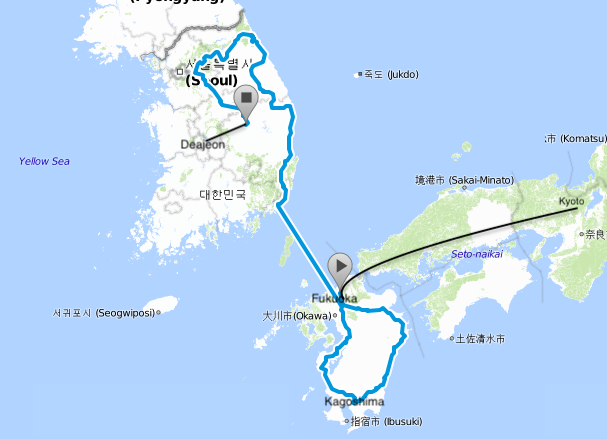 Our total trip distance is app. 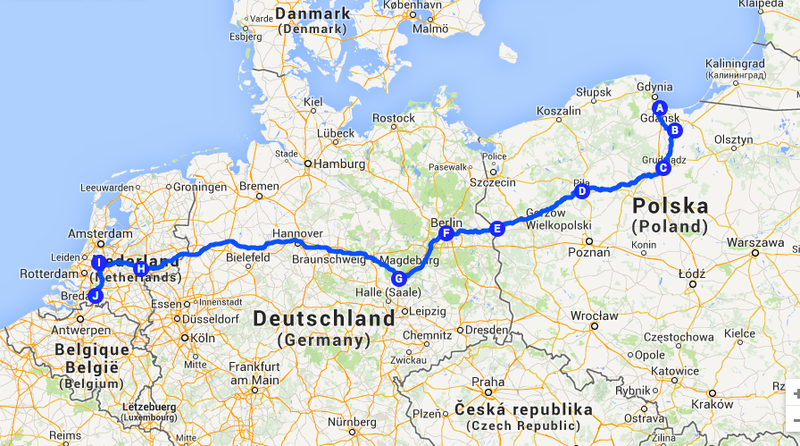 6400 k, as we also did some 1400 kms by bus, train, car and ferry. This part of the continent is very hilly, the total ascent was some 30.000 mts. 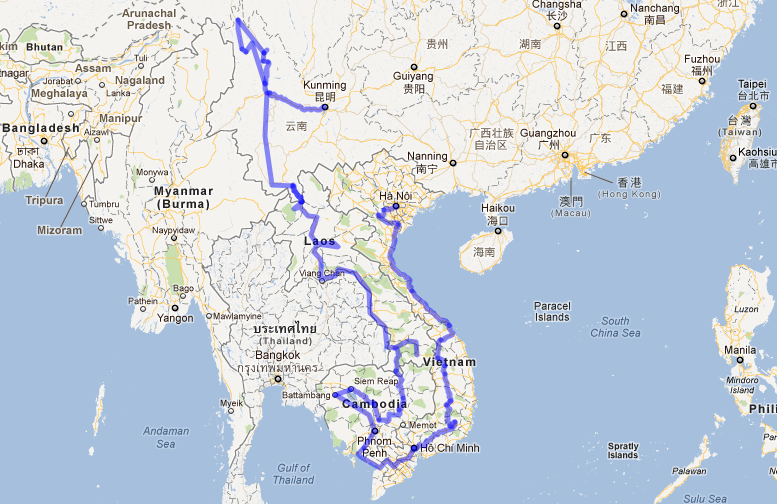 Below is the map of our tour from June to Sep 2011: the first stage of our planned round the world tour. Some 600 kms before we reached Istanbul Eveline was hit by a car and was taken to hospital. End of our trip. The accident happened near Ierissos, Halkidiki, Greece. We had done 3600 kilometers, total ascent 29800 meters.